Custom intake manifold I developed for the VG30DETT engine. 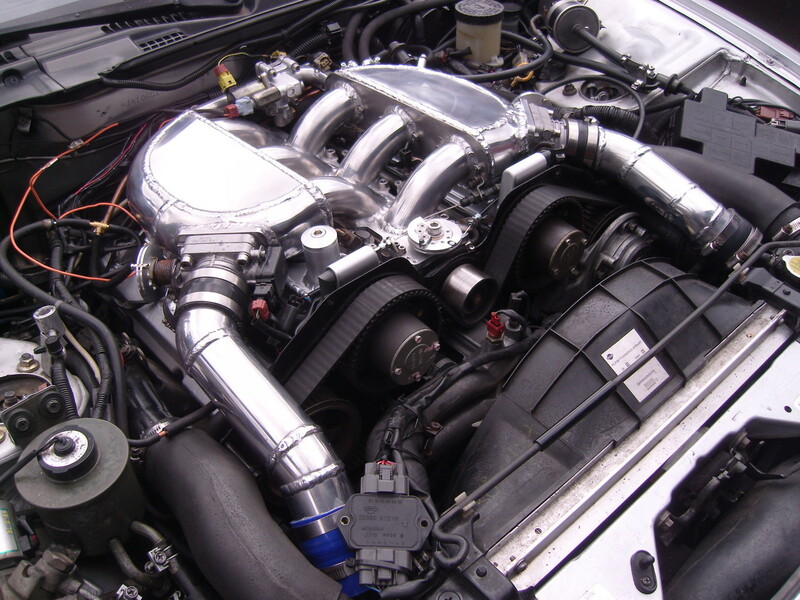 After I tested the VG30DETT intake manifold with (ITB’s) on the dynometer click here I decided to build another manifold with similar characteristics, yet with the factory throttle bodies. 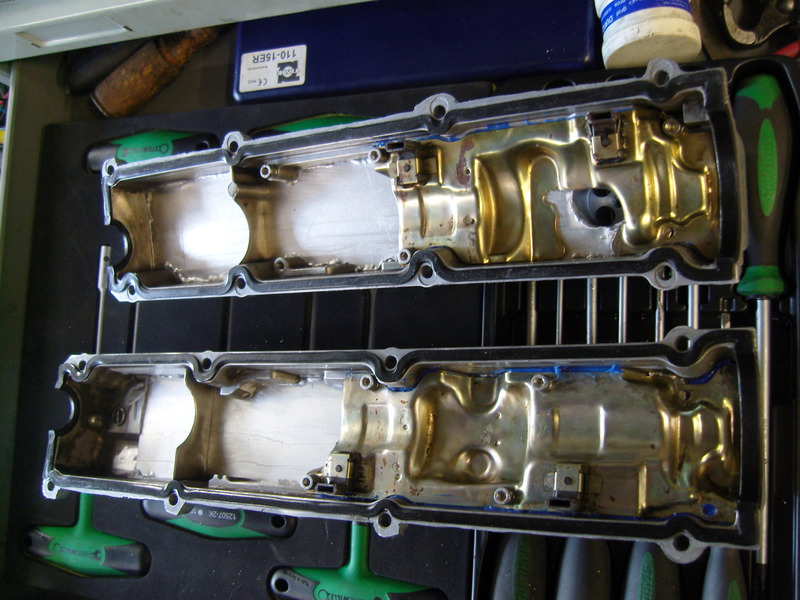 Since the Jenvey ITB’s are by far the most expensive part of that manifold, I wanted to see if similar performance could be achieved with a manifold using the same primary runner lenght. 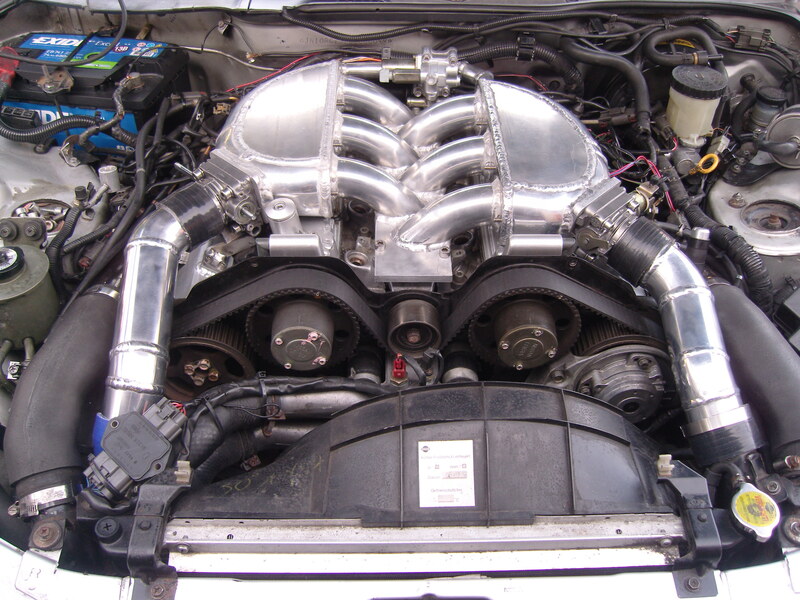 But adjusted for the factory throttle bodies and using comparable manifold collectors. 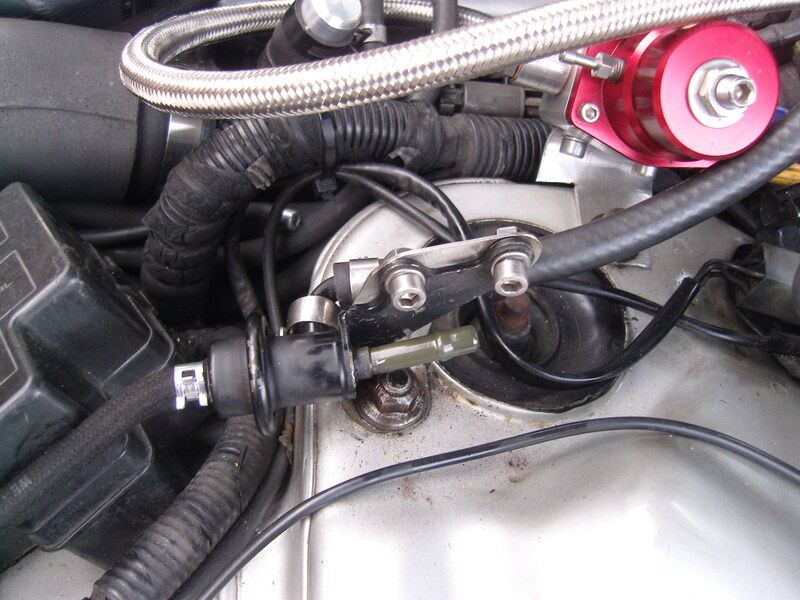 This new manifold would also bolt on top of the factory lower manifold, making it easier to install and remove. On the ITB manifold, I was able to use collectors in this triangular, almost organic shape that offer the best possible air entry and distribution. However, this design requires a smooth curve blending forward from the first cylinder on both sides. 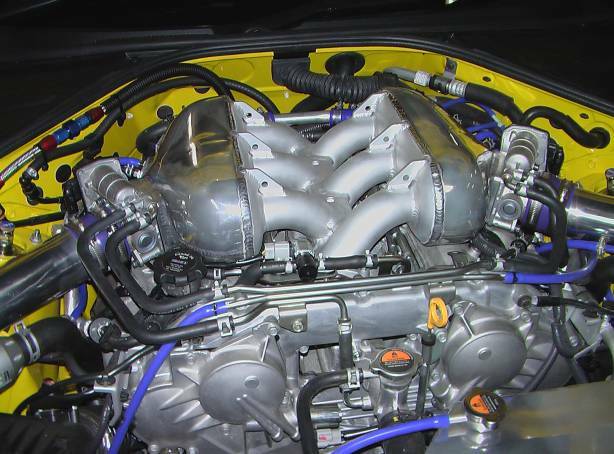 This blending ends up several cm’s forward from where the factory throttle bodies sit. 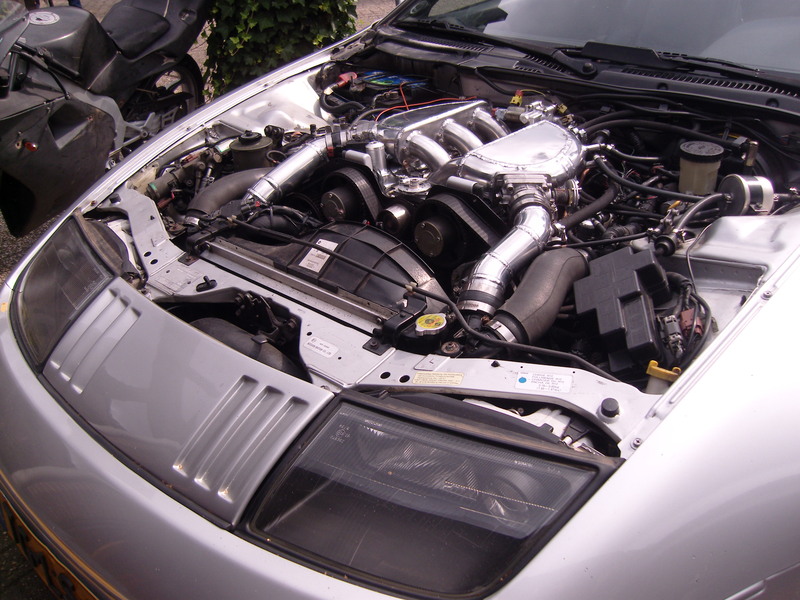 As a result, if the factory throttle bodies would be mounted there, they’d go straight through the timing belt covers and gears, and the linkage would strike the right side manifold collector. I concluded that I had 2 options. 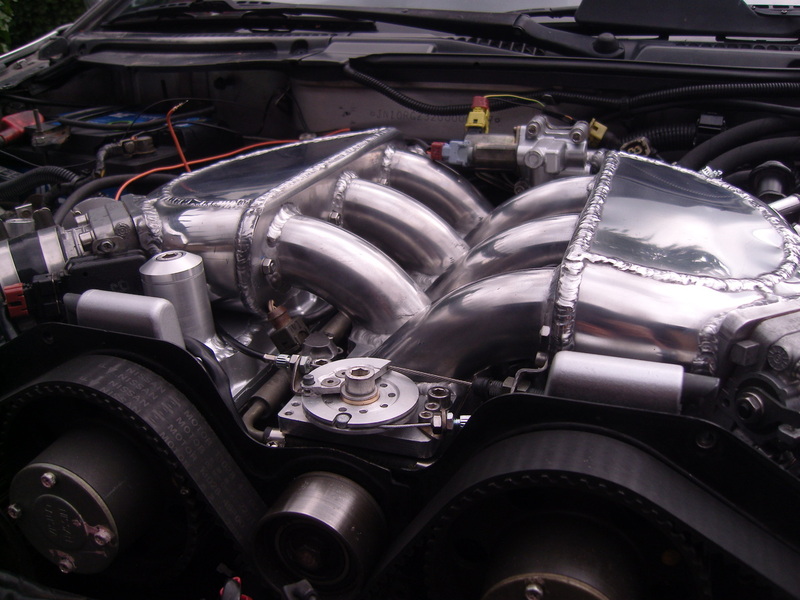 Remove the nice blending that helps airflow to the engine, or design an entirely different manifold collector. I gained some inspiration from the factory intake manifold on the Nissan GTR with the VR38DETT engine. Since the VR38DETT uses drive by wire throttle bodies, there’s no need to link the throttle bodies shafts, as on the VG30DETT. 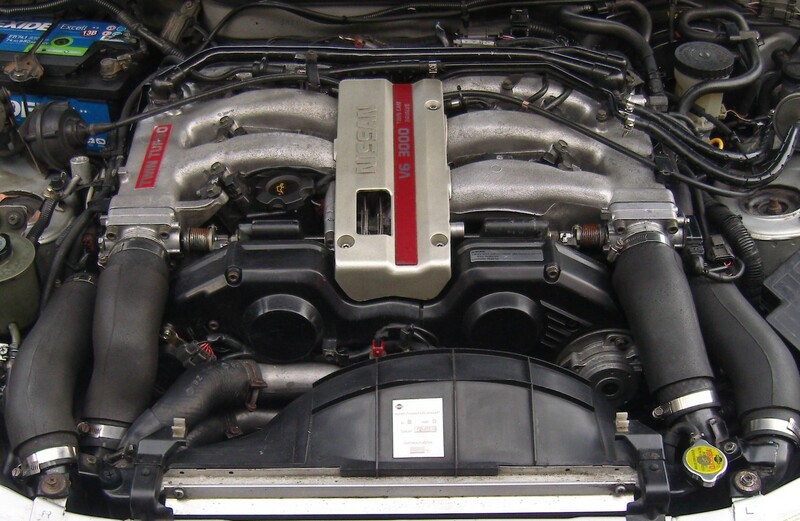 However, by using a throttle cable just like how the Jenvey ITB’s are linked the throttle bodies can be placed in VR38DETT fashion. The design I settled with makes use of the same primary runner length as the ITB manifold, 39cm measured from the valve face to the edge of the velocity stack. 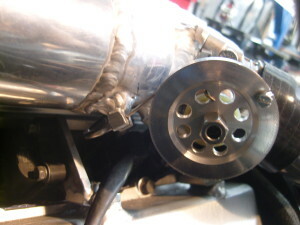 In place of the Jenvey ITB’s with short 45° bends, wide 45° bends are used over the entire length, slightly improving the airflow at this section. Jenvey velocity stacks are used as well, and the manifold collectors on both sides are shaped like a C seen from above. 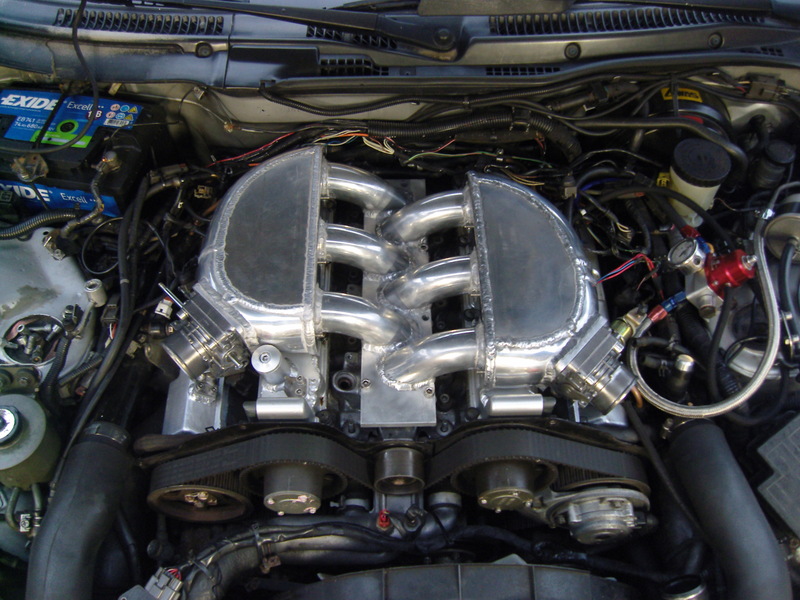 This design allows for a good wave reflection within the manifold. Ideally, the manifold is a little taller (such as the JUN manifold seen above) as a large part of the air flowing into the velocity stacks comes from the sides, but as with the ITB manifold the height was determined by bonnet/hood height. The modified valve covers were identical to the ITB manifold, as well similar modified fuel rails. The pressure regulator is now mounted on the side of the collector close to the brake master cylinder. 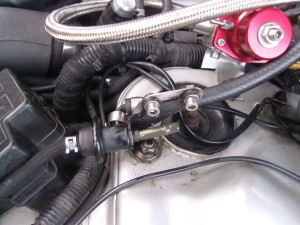 The fuel pressure damper is also relocated in front of the fuel filter on the strut tower. 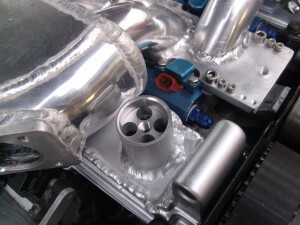 The idle air unit is located in about the same spot as on the ITB manifold, and the tubing it fits to also serves as the balance pipe between the 2 collectors. 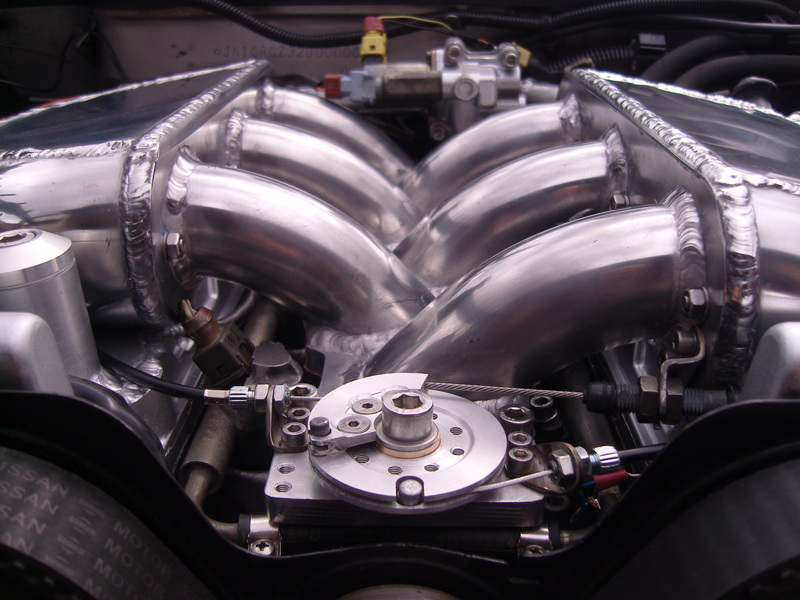 I made new inlet pipes from the intercooler piping to the throttle bodies, both 60mm outer diameter. 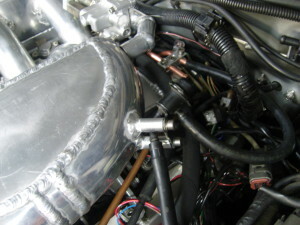 The throttle bodies are linked and synchronized through the wheel and wire system in front of the first cylinder runner. 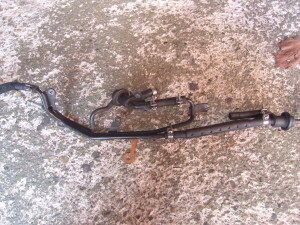 The adjustment screws and cable/wires are from the brake system of a bicycle. The cables run underneath the collectors, and point up towards the wheels on the sides of the throttle bodies through a 90* teflon coated steel tube. On the street this manifold felt more like the factory setup, having the same throttle response, due to the factory throttle bodies used. 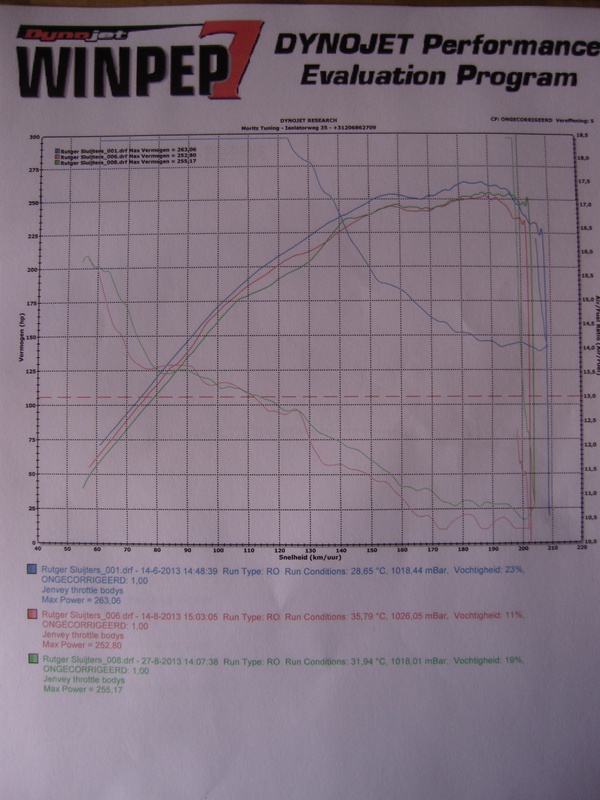 I had small issues with air leaks in particular along the flange/gasket around cylinder 5-6, that likely also caused the engine to run extremely rich on the dyno. What I’ve noticed is that the manifold slightly expands as it heats up and started pushing against the valve covers, of which the clearance was apparently too tight. An odd feature of this manifold was a strong suction noise around it. This noise seems to come from around the idle system, likely created by the shape of it’s bypass tract. The noise seems to resonate through the thin 1,5mm walls of the C-shaped sides of the manifold. 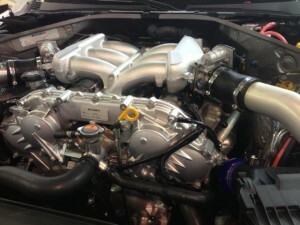 Though this noise is not an issue for a performance engine, it would be unacceptable on a regular car. 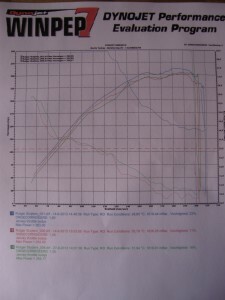 Like the ITB and factory manifold, the test was performed on the Dynojet facility @ Moritz tuning. The odd dip in power in the mid range (starting from 105km/h on the factory manifold) was gone, just as with the ITB manifold, but as the engine ran very rich it failed to make any more power than the factory manifold. Not how the red lined air fuel ratio in the bottom of the chart drops quickly at around the same moment the power increase was reduced. Apart from a couple of small air leaks, the fuel temperature sensor was probably not making good contact which may also cause the engine to run rich, but unnoticeable since it does not activate the dashboard check lamp. It is quite clear that the engine management ecu needs to be adjusted to this manifold, which would also likely remove the drop in power in the higher revs. 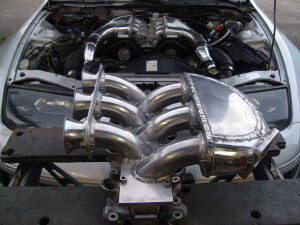 When properly setup I expect this manifold to work best with a pair of turbo’s that ‘spool’ in the area where the factory manifold holds it back. 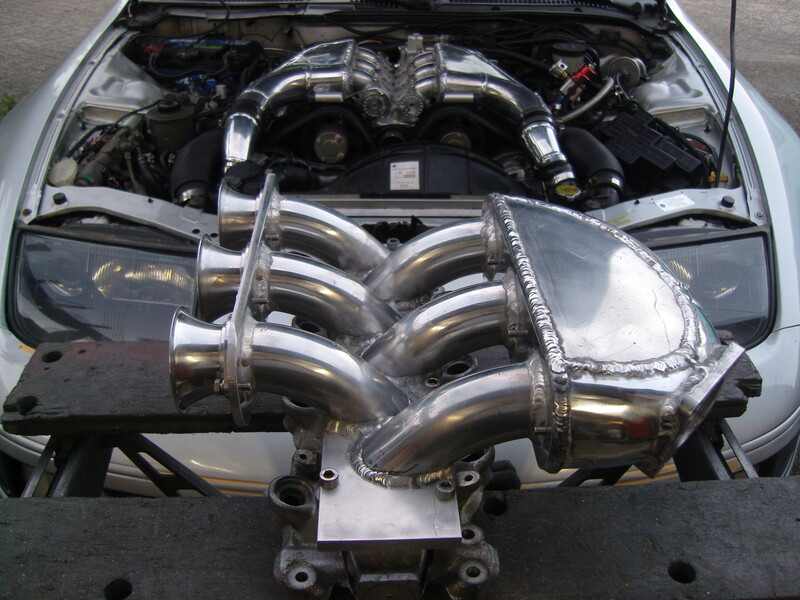 I also expect this manifold to respond well to upgraded camshafts. 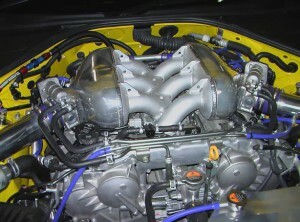 Blue: ITB manifold. Red: manifold on this page. 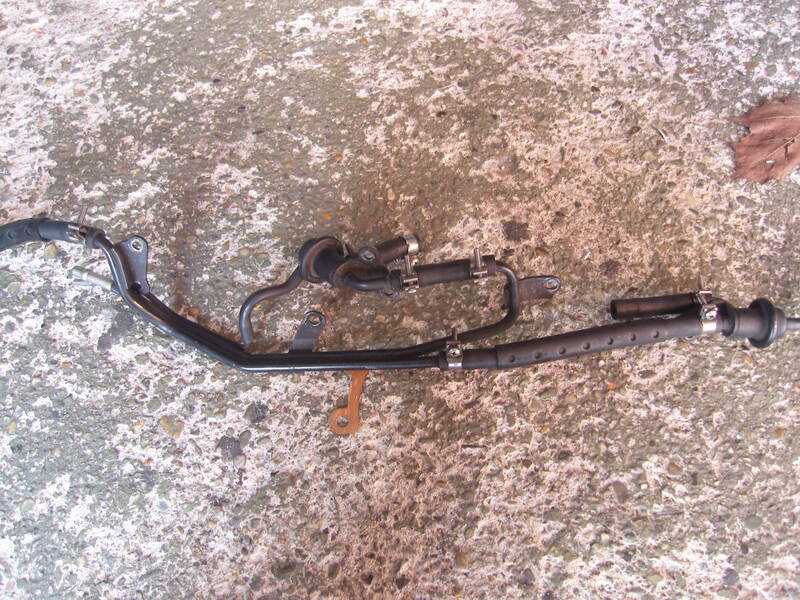 Green: factory manifold.